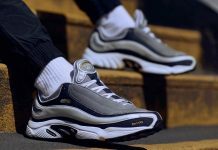 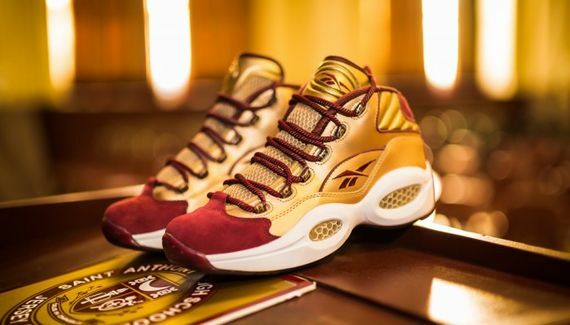 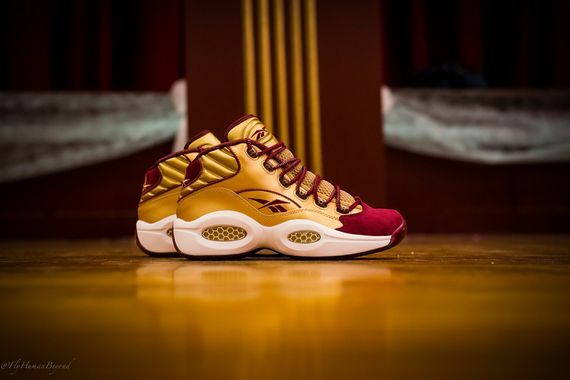 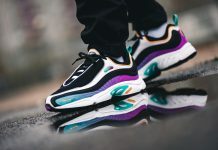 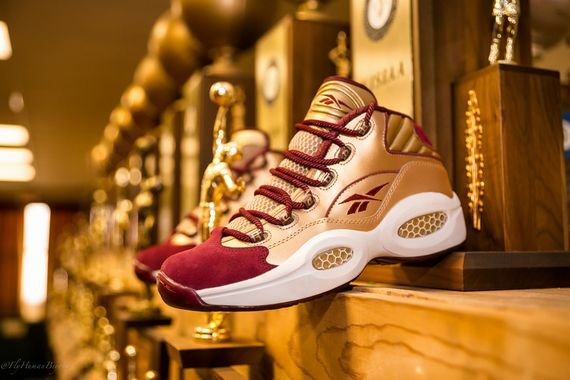 Packer Shoes x Reebok - Question "Saint Anthony"
Packer Shoes has united with Reebok to offer a glorious rendition of the classic Question silhouette, this time paying homage to a New Jersey high school basketball team. 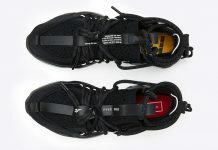 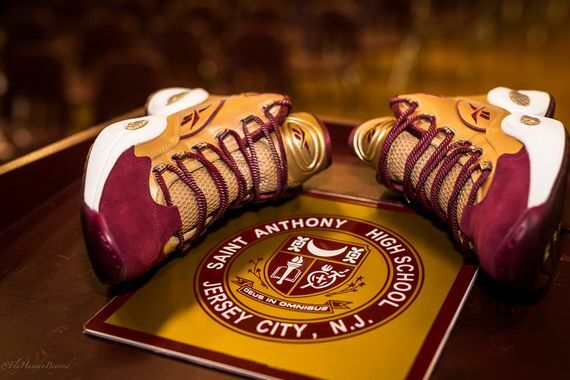 The kicks feature the school colors of Saint Anthony High School. 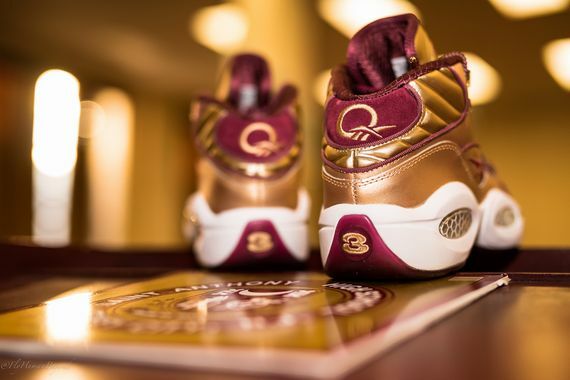 Dubbed the “Saint Anthony”s, these Saint Anthony Friars themed kicks feature red and gold, leather and suede. 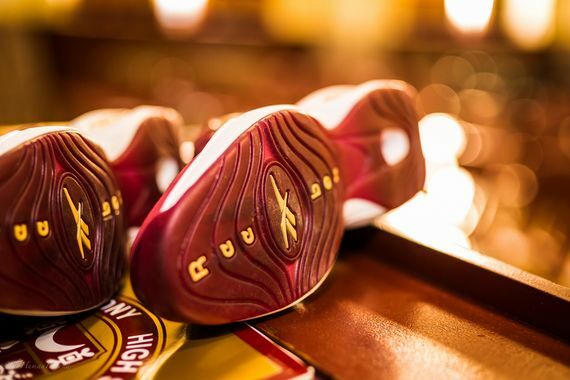 If you’re looking to cop a pair, it will take some work, these will be limited to 500 pairs and will release tomorrow, December 17th.